Forget Your New Year Resolutions! Did you make some New Year Resolutions? Have you managed to stick to them or, like many of us, have they slipped and not really become a habit or produced the results you hoped for? The problem with making New Year Resolutions is that they are for the most part too vague. Typically we say things like ‘I want to lose weight’, ‘I want to eat healthily’, ‘I want to get fit’, ‘I want a new job’, ‘I want to find love’. These are the ultimate goals but there is no real plan of action. And if there is no plan then we often give up quickly. Research tells us that it takes at least 21 days to make something a habit, longer if it is something big. Be specific – eg how much weight do you want to lose, how exactly will you do it. Ask for help – Get the right support, advice and motivation from a professional. There are excellent Personal Trainers, Life Coaches and Nutritionists all trained to support you reach your goals. 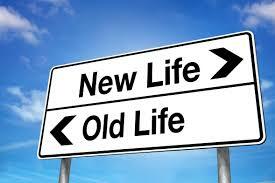 Tackle one goal at a time – trying to change everything at once is less likely to work. So, what are your goals for 2016? Need support? I now have appointments available, including baby friendly sessions and flexible sessions for busy mums. 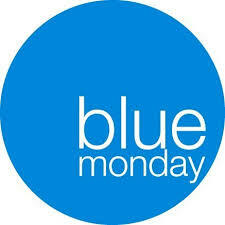 Do you know that today is known as Blue Monday? Blue Monday traditionally falls on the third Monday of January every year marking the saddest day of the year. For 2018 it is going to happen on January 15. But do you know what it is all about? There is no science behind it, in fact, it was a term created years ago by an advertising agency for a travel company to encourage people to book more trips after the holidays. However, many people still use the term, some came up with an idea to make it a positive thing. Why is it the saddest day of the year? It happens supposedly due to a combination of factors – the cold weather, less money after the Christmas shopping spree or indeed debt, low motivation, the return to work or school after ‘the most wonderful time of the year’, abandoned new year resolutions, feeling alone……. That’s why I was happy to find that there is now a Blue Monday Awareness Day. It comes at a time when people might need cheering up. It’s a special day, for people to focus on doing good for each other. But note that it is not necessarily about giving presents, just doing little acts of kindness. A couple of years ago the organizers of the day had a thought. Wouldn’t it be good to start a new tradition that encouraged people to do nice things for each other? This inspiration then lead to the formulation of a wider day of happiness, and so Blue Monday was born. Let’s spread the word on this awesome initiative and start celebrating this. So, what small act of kindness could you do today for someone? I am definitely going to participate of it this year. Have some fun and beat Blue Monday! So I just completed the Passion Profile Quiz by Clarity on Fire. They say there are 4 possible outcomes and if you work out which you are it will guide you towards your passion. Turns out I’m a Thriver, meaning I’m the kind of person who is all about creating a balanced, low-stressed lifestyle that gives me the freedom and energy to pursue what I love in my free time. It was spot on! Luckily for me I have known for a long time what my passion is being a Life Coach and fulfils that whilst creating a work-life balance that I desire. But what do you, if like many people, you don’t know what your passion is? Most people I work with need my support to help them work out their passions and therefore their goals. Usually it is connected with deciding on a career or setting up their own business. But it can also relate to other areas of your life such as finding hobbies and activities. 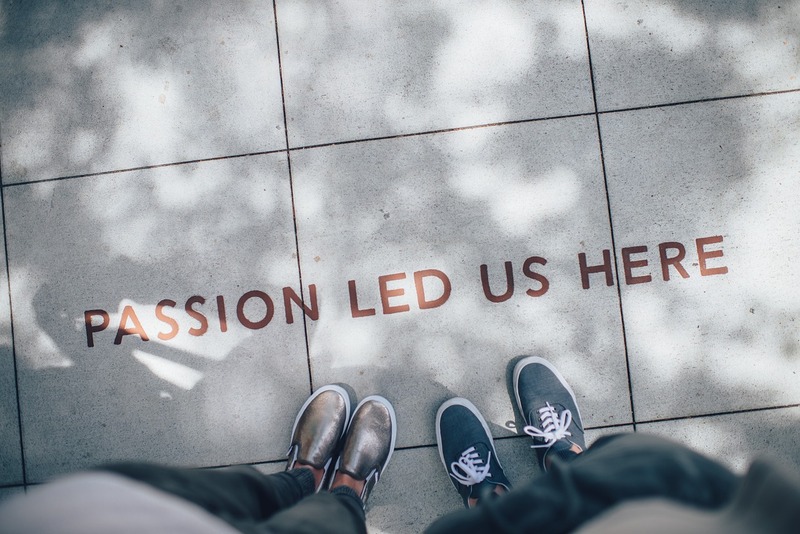 So why do we find it so hard to know what our passion is? Well, if you think about it, from childhood our passions and dreams are often not supported by our education system or nurtured by family. Think of jobs that are creative and popular today. There are no courses at school for blogging, creating Apps or computer games or being a writer or a personal trainer. And often our family and friends want us to secure something reliable, steady and with a good income so you will hear comments such as ‘you can’t make a living from Art’ or ‘blogging is fun but it’s not a real job’ and so we push our passions to the side and grow up without much passion for anything. Or, you may find that you are interested in many things but don’t know where your true passion lies. Passion can be created. Many successful people such as Richard Branson dropped out of school early and created their own passions and success. Passion comes from success. Doing something we are good at makes us passionate about it. If you constantly struggle with something you will never become passionate about it. Passion doesn’t always come from being good at only 1 thing. Success is usually combining many skills into one passion. eg. You might not be a degree level artist but pretty good at drawing and with a great sense of humour so you become a cartoonist. What have I been consistently interested in for months, years or from childhood? There are clues here to help clarify your passion. How do you want you passion to be expressed? Be honest. Do you need to be part of a team? Does it need to be part of your day-to-day work life? How well do you respond to authority? Are you motivated to work for yourself? Create something that fits for you. Even better if it is something new with not so many people doing it yet. Less competition means more success and more passion! Don’t be scared to lead a new trend. Got a great idea? Don’t be put off that not many are doing it yet. Be bold and go for it! Think creatively and combine your skills. The most successful people are almost never defined by a single skill. Find your passion by combining your skills in to something more valuable. Finding your passion in life will make you not only successful but happy too. Don’t stop looking for it! Incorporating essential oils into your daily routine can help keep your immune system stronger, speed up your recovery time from illness and uplift your spirits when the winter blues strike, helping to energize and motivate during the cold and dark winter months. Essential oils can be so easily used at home over the winter in baths (add a few drops and mix well), oil burners, inhalations (add a few drops to hot water) and rubs (add 4 drops to 10mls sweet almond oil). Always choose 100% pure essential oils. Uplifting and fruity, this is calming for the emotions and also a good ‘pick-me-up’. Use in bath oils, massage oils and inhalations. Warming and strengthening, this is stimulating for the digestion and the natural antiseptic properties make it good for treating colds and flu. Don’t use it on the skin but great in an oil burner or for inhalations. Stimulating and expansive, this is anti-viral and decongesting for the head and sinuses. Eucalyptus has a refreshing effect on the nervous system and may be used to treat tiredness, poor concentration or headaches. Excellent when added to a base oil for use as a chest rub or in inhalations. Calms and uplifts the spirits when feeling stressed, tired or overwhelmed, whilst increasing energy. Also great for chesty coughs. Use in a massage blend, lotions and balms or as an inhalation. Balancing and relaxing, Lavender is the most versatile and well-used of all essential oils, a valuable remedy for everyday use. The only essential oil that can be used neat (undiluted) on the skin – dab a drop on pulse points or use in massage and bath blends, or inhalations. Calming and soothing for restless children, this essential oils is also beneficial in helping to treat nervous tension or insomnia. Dilute and use in a massage oil or in a diffuser. Warming and stimulating, rosemary helps to stimulate the circulation and is good for aching muscles. Mix into a massage oil or salve and rub into aching areas or use in inhalations. A fantastic winter oil. Antibacterial, antiviral and antifungal. 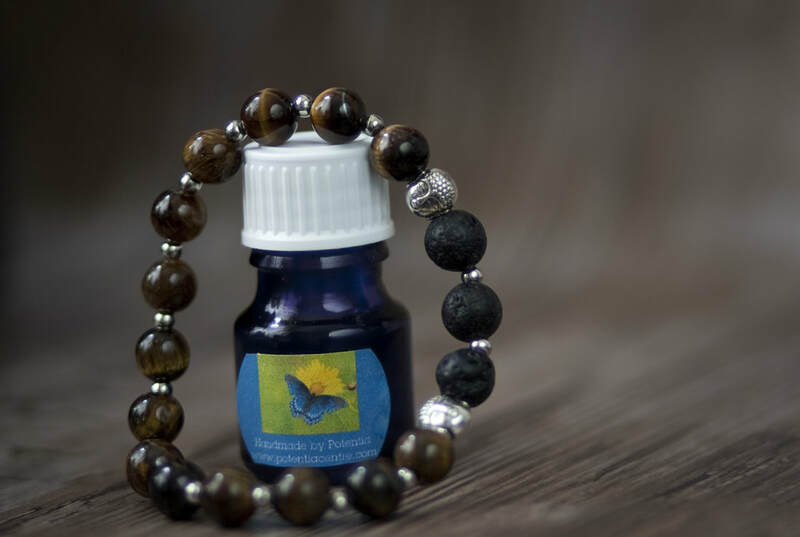 Careful topical use is highly effective on spots, cold sores and my top tip- when you feel a sore throat coming on, place one drop of tea tree at the back of your tongue. Tastes horrible but will catch those early bugs! As a great immune-boosting blend to use in a diffuser when coughs and colds are in the air combine 2 or 3 drops each of Cinnamon, Rosemary and Lemon – so simple and very effective. Alternatively sprinkle these oils onto a cotton handkerchief, carry in a plastic bag in your handbag for when you need a quick lift during the day. Add 2 drops each of Orange, Cinnamon and Clove to a diffuser for a gorgeous Christmas blend. Add 2 drops each of Lemon and Grapefruit to a diffuser to clean the air of colds and bugs.